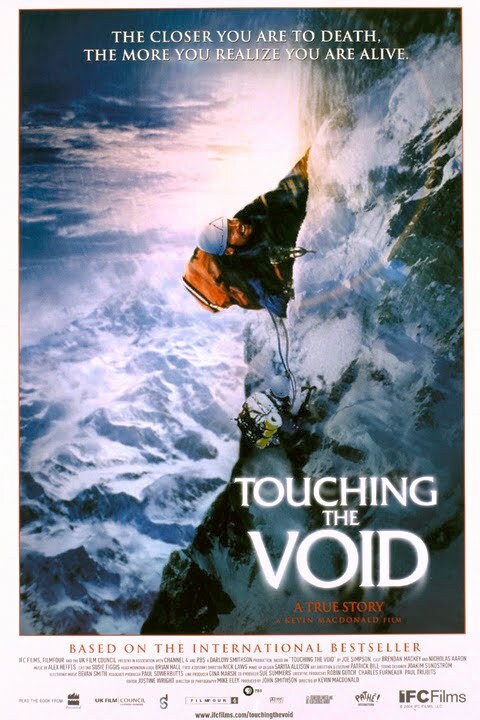 Touching the Void is a 2003 documentary based on the book of the same name by Joe Simpson about Simpson's and Simon Yates' disastrous and near fatal attempt to climb Siula Grande (6,344 m) in the Cordillera Huayhuash in the Peruvian Andes in 1985. Critically acclaimed, it was listed in the PBS' 100 "Greatest" Documentaries of All Time. The Guardian described it as "the most successful documentary in British cinema history". Touching the Void won Best British Film at the BAFTA awards in 2004. The film was not nominated for a Best Feature Documentary Academy Award. Peter Knegt at the industry trade journal Indiewire calls it one of "10 incredible documentaries that weren't nominated for an Oscar".